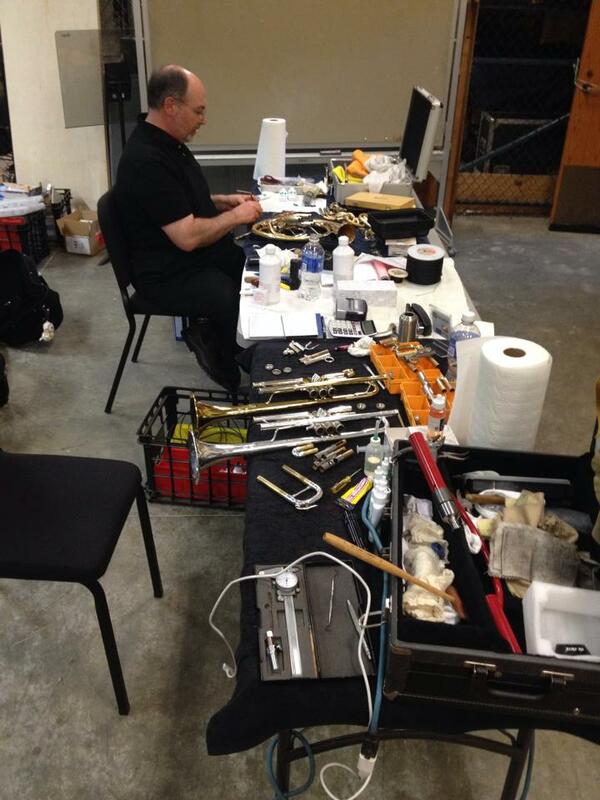 • On-site repairs for basic to moderate instrument damage such as soldering, most dent work & installation of simple options such as water keys, finger rings, & leadpipes. • On-site Ultrasonic Cleanings. We bring with us a portable 9 gallon unit with a capacity to clean most brass instruments maxing out in size with a Euphonium. • Sales of accessories; Oils, Greases, trumpet mouthpieces (upon request) & usually a selection of instruments for sale. • We require a room to work in that is available for an entire day, has access to a power supply & is a minimum of 10'X12'. 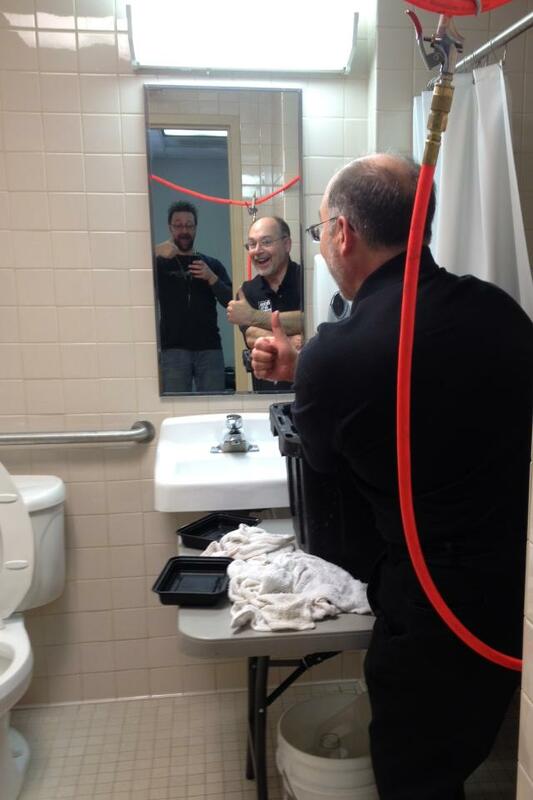 We also require access to a water supply within a reasonable distance of our work space to fill about 40 gallons. • 45-60 minute lecture on subjects ranging from rudimentary brass repair for music ed majors, instrument maintenance & damage prevention, brass design & custom options available. While this service can be added at no cost for a repair clinic stop we are also available for such lectures as an à la carte service for a fee of $200.00 plus travel expenses.